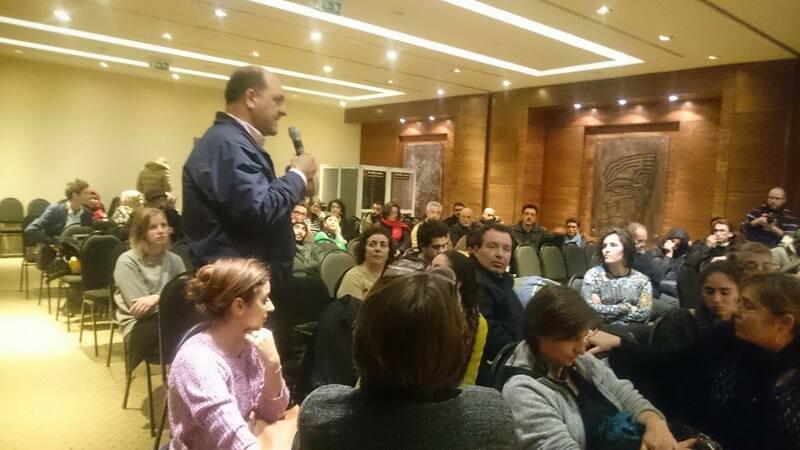 Ashtar theatre, a long-term partner of the RLS Regional Office Palestine, has produced variable monologues about Gaza, under continuous siege and many wars, and have had toured those monologues around the world, for years. Valuing this experience, and desiring to give it a wider outreach, our office decided to document it in a film called “We are Here” Directed by Sabrina Dittus. The film traces the experience in Gaza, Ramallah and Hannover, nevertheless, sheds the light on the thoughts, aspirations, fears and dreams of the Gazan youth who have written and acted, once possible, their monologues, on stage. 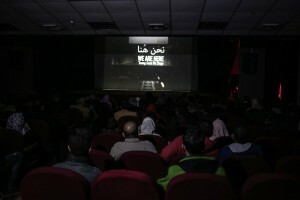 The film came out in 55 minutes, and was interpreted into Arabic, English and German. 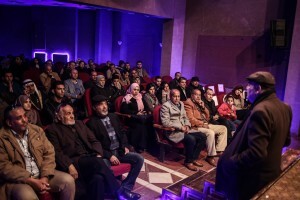 The film was screened in Ramallah, on 15 December 2016 at Mahmoud Darwish Museum, and in Gaza on 20 December at Al Mishal Theatre, whereas in both places many people attended, and reflected on the film on the after screening discussion. The film has proven been both informative, and emotional, as has been expressed by the audiences’ reflections and remarks, after the screenings. The film is supposed to be screened in Germany during 2017, and wherever else possible, around the world, to voice Gaza youth who are aspiring for freedom and normal life.